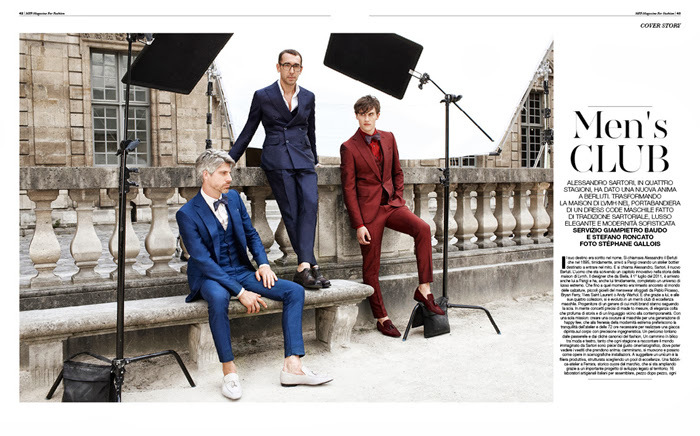 'Men's Club' photographed by Stéphane Gallois for the 70th issue of Milan-based MFF Magazine, featuring in this volume Berluti's creative director, Alessandro Sartori featuring a smashing selection of the brand's looks in a story shot at the historical Hôtel de Sully in Paris. Fashion editors: Giampietro Baudo & Stefano Roncato. Grooming by Mickael Jauneau. Models featured are Anthon and Antoine @ Ford, Luka @ Success & Scott @ Nathalie.